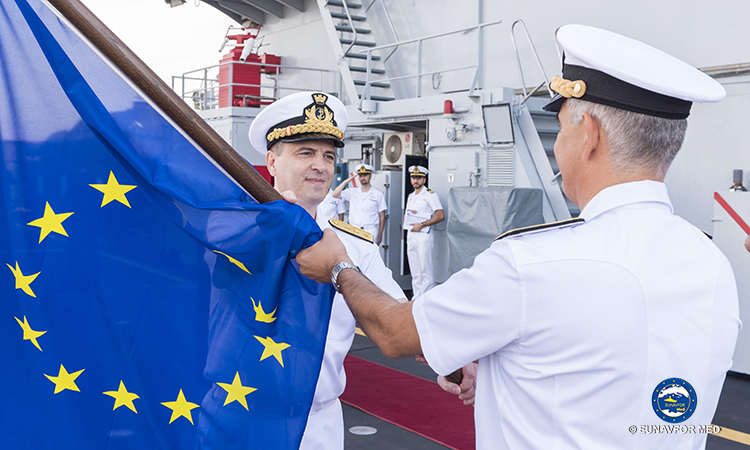 Home » News » A new Force Commander for EU Sophia Task Force. 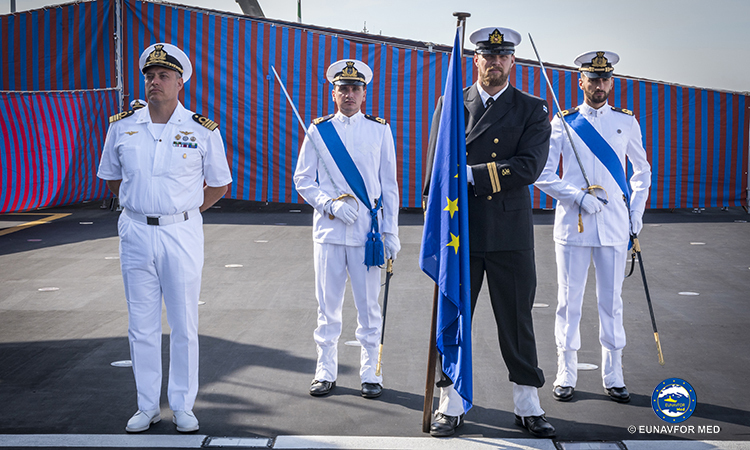 A new Force Commander for EU Sophia Task Force. 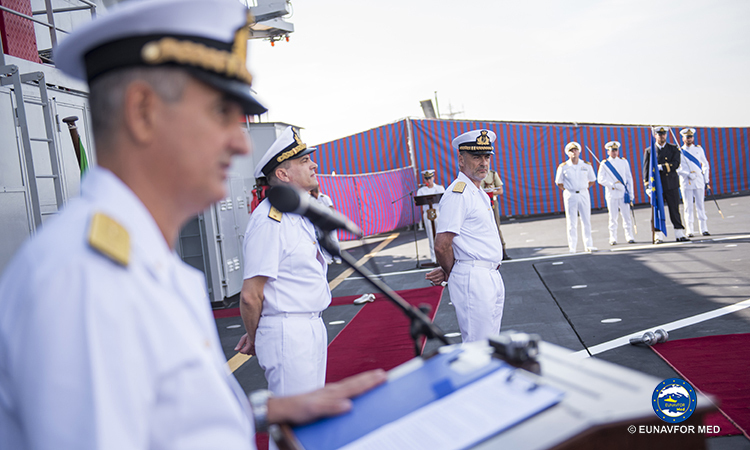 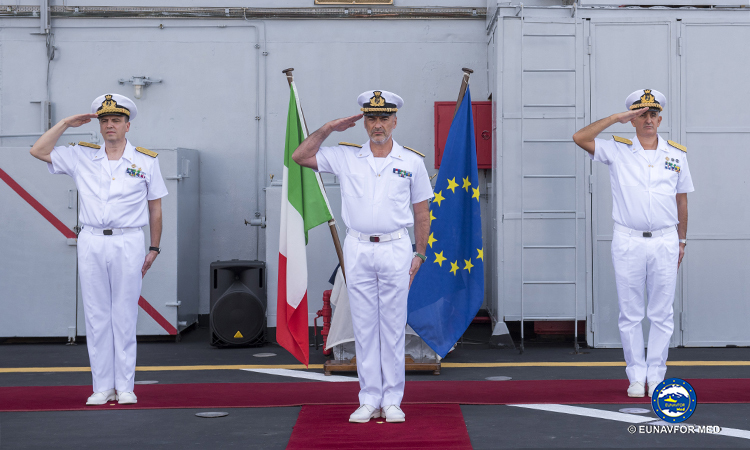 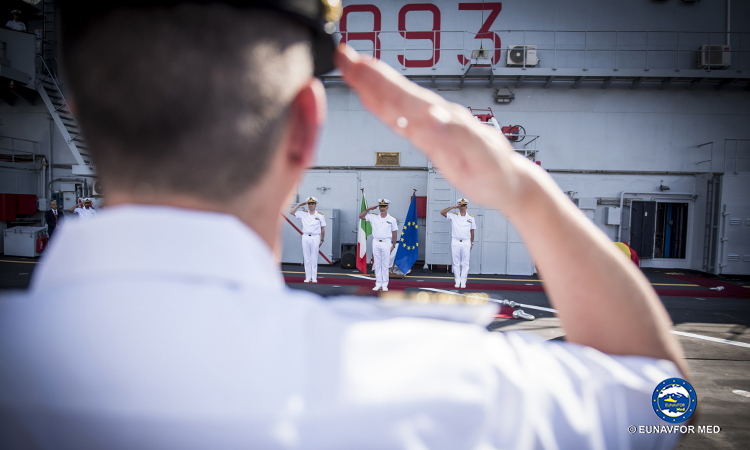 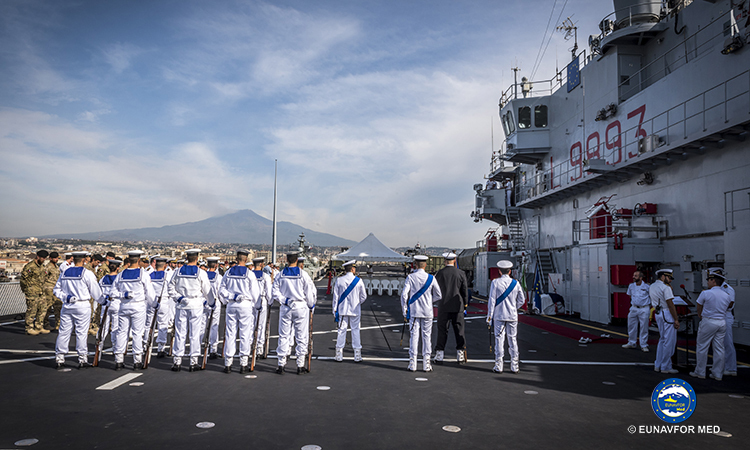 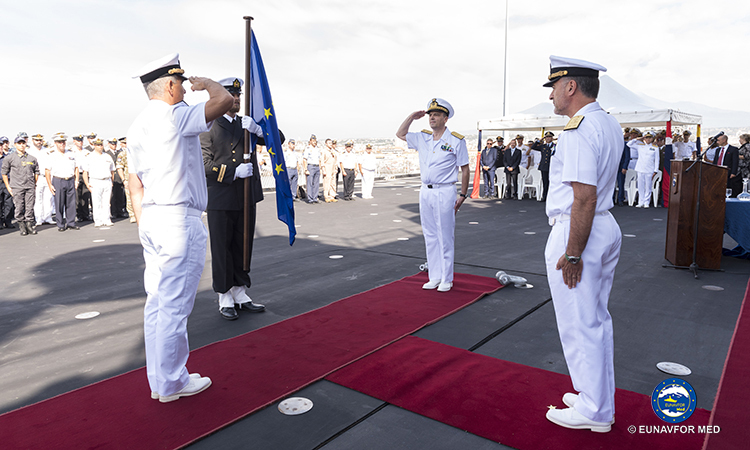 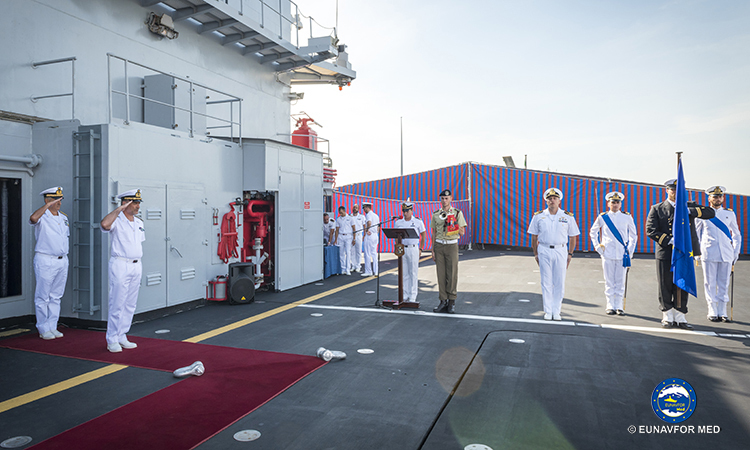 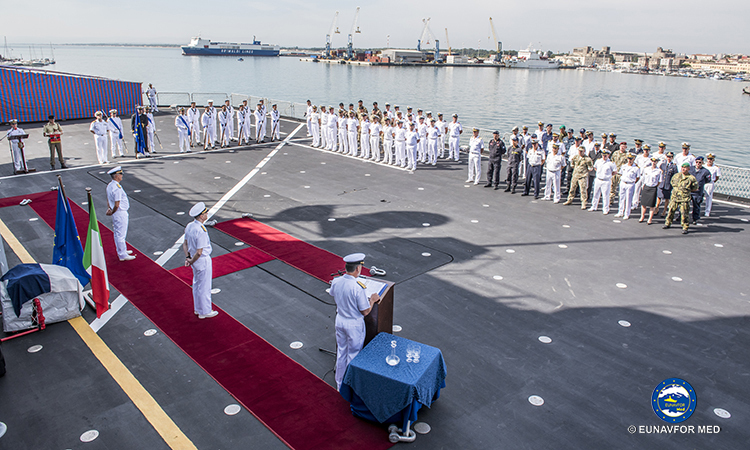 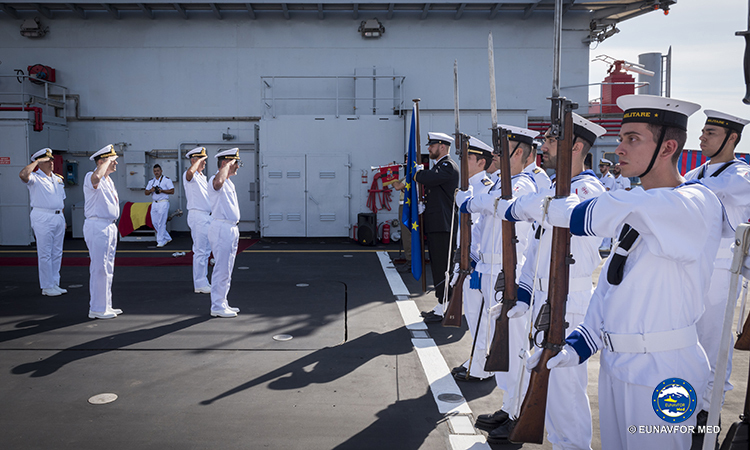 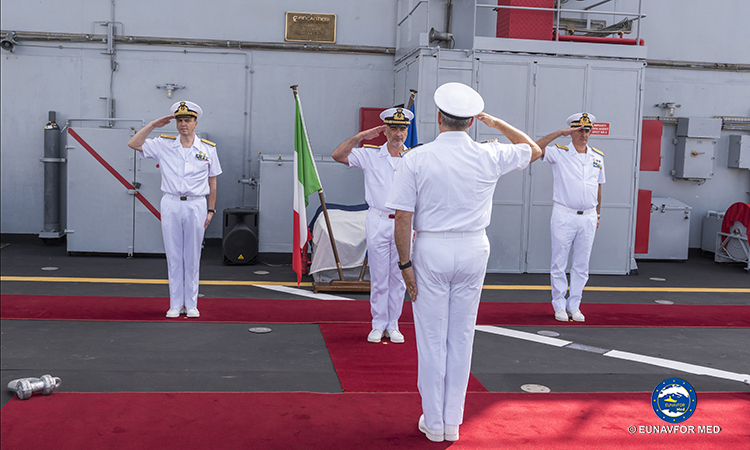 Yesterday, September the 13, on board of the Italian ship San Marco, moored in Catania harbour, at the presence of the Operation Commander, Rear Admiral (UH) Enrico Credendino, and other military and civil authorities, the Force Commander, Italian Navy Rear Admiral (LH) Alberto Maffeis, handed over the Command of EUNAVFOR Med Task Force to Italian Navy Rear Admiral (LH) Stefano Turchetto. 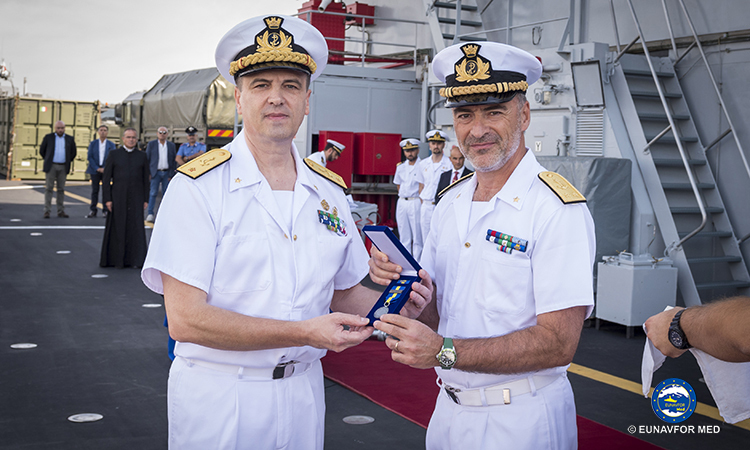 On the occasion, “I am really proud, glad and honoured having had the amazing opportunity and fortune to have led operation Sophia at sea. 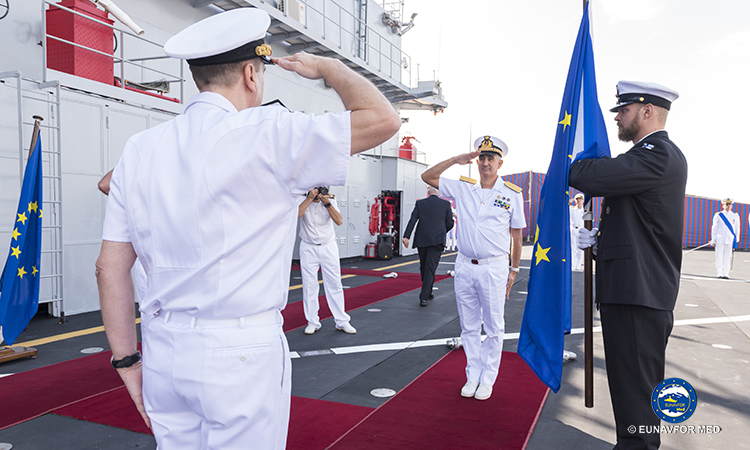 Notwithstanding, today my special attention, gratitude, appreciation and sense of respect, must go to my staff, my commanding officers and their crews, for their dedication, commitment and outstanding support that was constantly given to the European operation and my leadership. 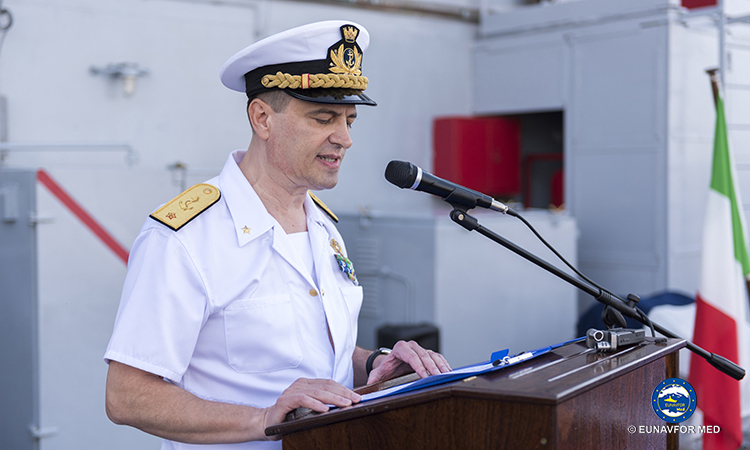 Believe me I am really touched and impressed about your extremely high standards, professionalism and friendship” underlined Rear Admiral Maffeis. 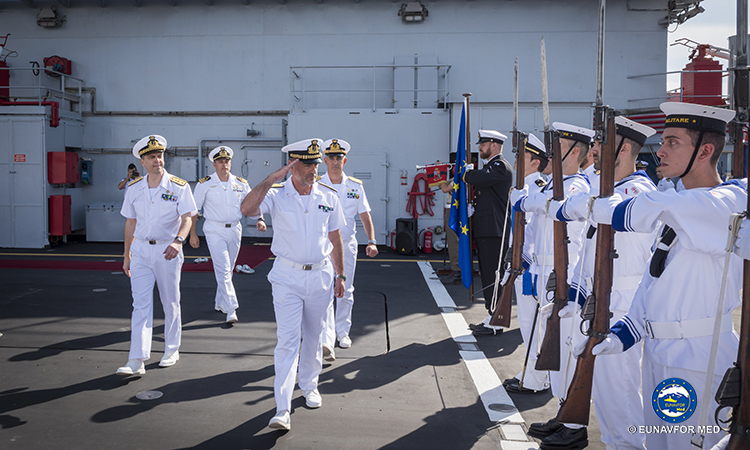 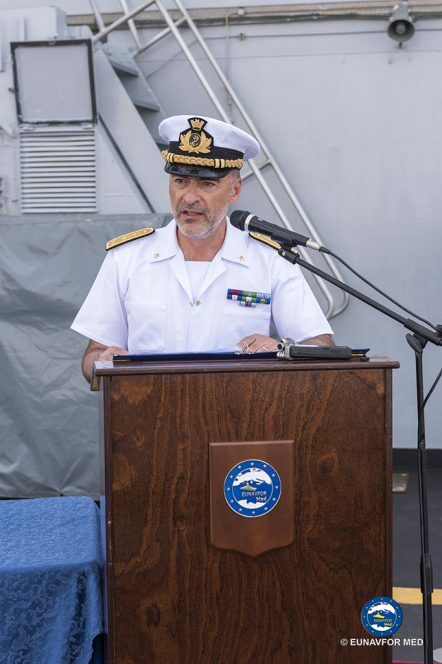 Rear Admiral Turchetto added “I can assure that I’m committed to follow the path of my predecessors, following the will of the European Union and the directives of the Operational Headquarters as I have the responsibility to stand ready and to address all efforts to keep the Force with high operational standards and readiness”. 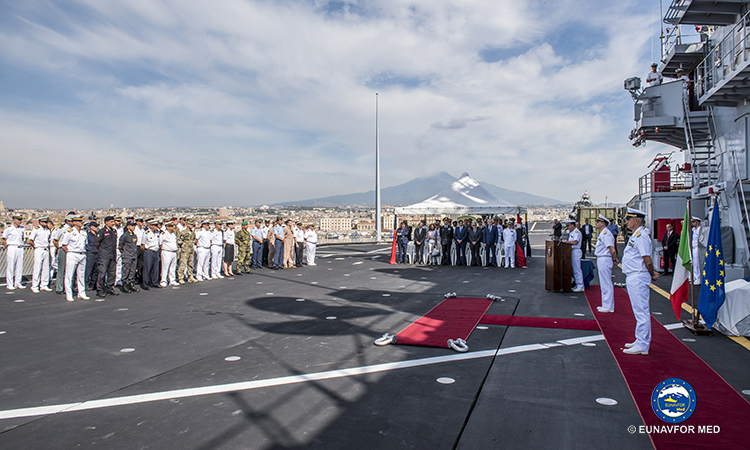 Finally, closing the ceremony on board the Italian ship San Marco the Operation Commander Rear Admiral (UH) Enrico Credendino stated: “Today I want to recognize the great professionalism with which you, women and men of Operation Sophia have worked silently each day at sea, ashore and in the air: a professionalism which gives prestige to you, to your countries and to the European Union we represent in this Operation. 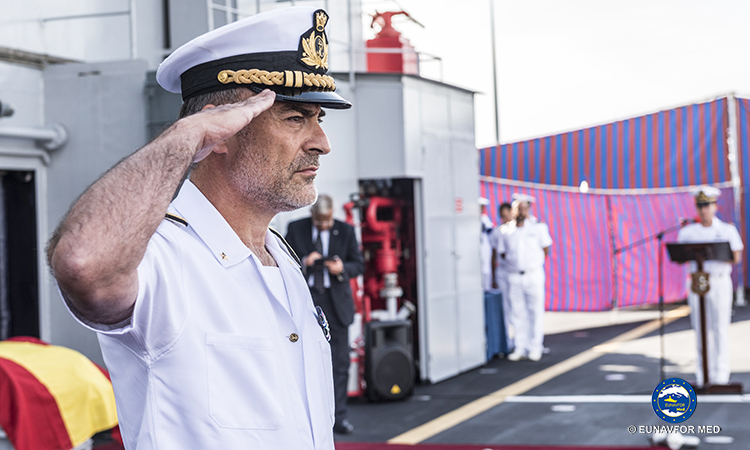 This has been possible in the last 9 months also thank to you Alberto: I congratulate you for the efforts and contribution that you have made throughout your successful time in command since December 2017: 273 days, a very long period. 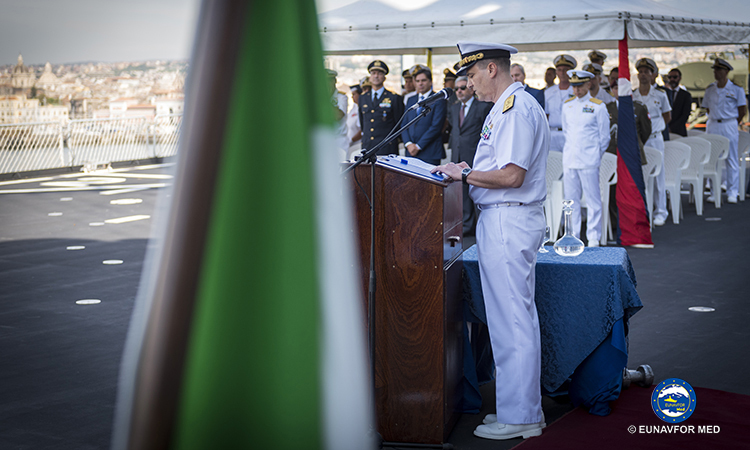 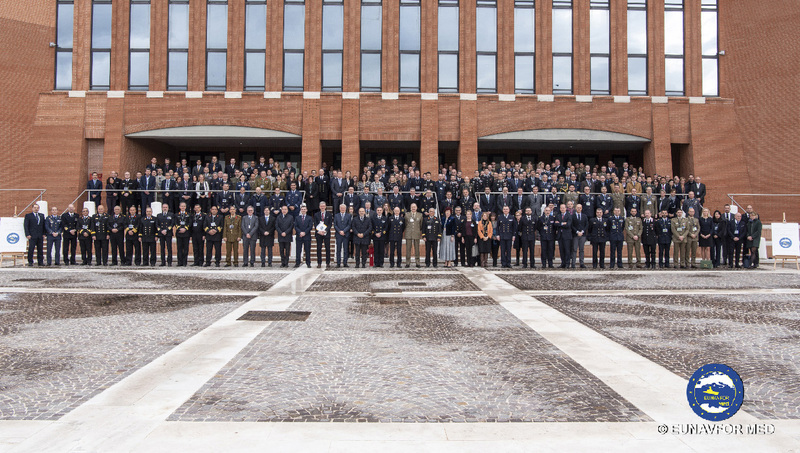 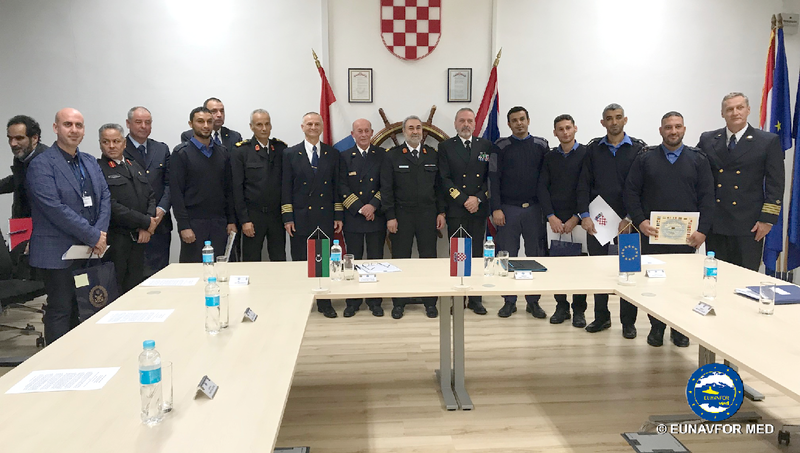 During your time as Force Commander, 24 boats have been neutralized and 20 suspected smugglers have been transferred to the Italian judicial authorities, thereby contributing to fight smuggling and trafficking of human beings. 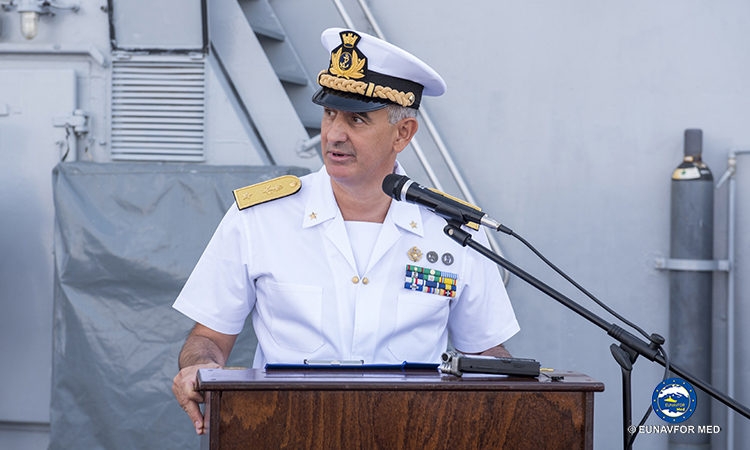 And now my attention goes to the Rear Admiral Turchetto. 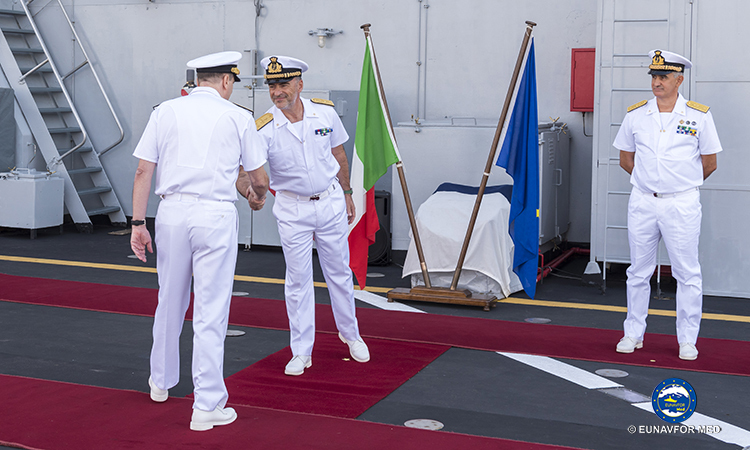 Stefano, I am very glad that you today become the new Force Commander of the Operation. 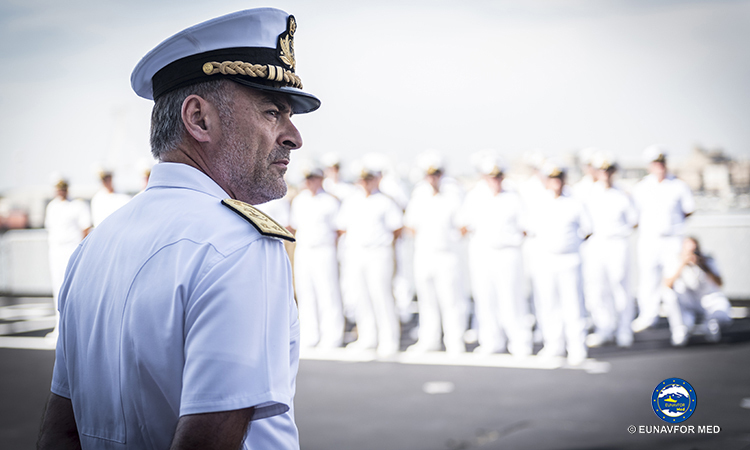 In the upcoming months your leadership will be crucial in commanding the Force at sea”.